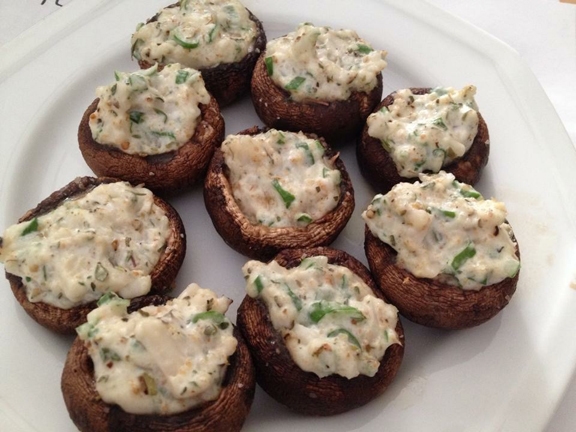 This recipe for dairy free stuffed mushrooms was created kind of on accident. 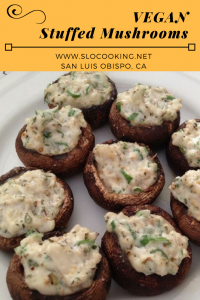 I wasn’t exactly trying to come up with this exact recipe, but it turned out so tasty I decided to write it down and use it for entertaining. So not only am I obsessed with breakfast foods, if you’ve been a reader for a while you know I can’t get enough mushrooms in my life. I adore cooking with them and eating them. Yum! I hope you enjoy this recipe. It’s tasty and I love to make it. A quick notes on the bread crumbs. Since I’m now not only dairy but gluten free finding breadcrumbs at the store can be a challenge, but I did finally find some by Ians that are both dairy & gluten free. Added bonus they’re Panko style which is better for cooking. I thought I’d give you a link to the Ian’s Gluten Free Panko Bread Crumbs. I’ve been using these for a while now and they’re amazing! You’ll be happy you switched over to these. Did you know I have a posted list of recommended cookbooks on my website. Click HERE to visit that page. There’s still time to check out my archive site.